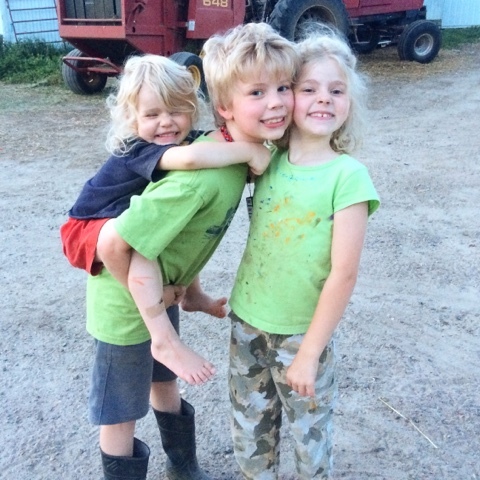 When farm kids help with barn chores, Mama has more time to bake. 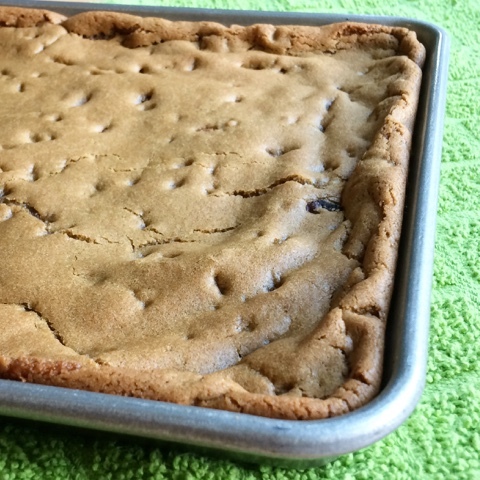 Grandma Jeanie's Blondies are a much-loved family recipe. Fast-forward five years and that day has arrived. My flower gardens don’t look like much, but I have found more time to bake. This summer, Dan and Monika were assigned their first regular barn chores. They’ve been helping with miscellaneous outside jobs since they could walk, and they’ve had household chores for several years now, but this is the first time we’ve turned responsibility over to them for one of our daily chores. Dan and Monika are responsible for cleaning the barn every morning after we let the cows back out to pasture. They scrape the aisle and the stalls and then put fresh wood shavings down. Daphne’s a bit too young for barn chores, so she’s in charge of picking eggs and taming kittens. For the first couple days after we assigned their job, Dan and Monika balked a little. “This is supposed to be our vacation,” they said. 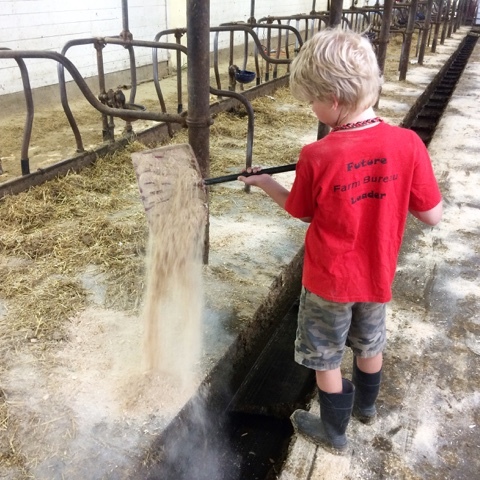 Glen and I explained why it’s important for the barn to be clean and how much their contributions help our farm and family be more successful. We have to give Dan and Monika reminders every once in a while, but judging from how well they’re doing their jobs now, Dan and Monika understand the importance of working together and getting the job done. Agricultural cooperatives exist because of the same principle: everyone works together. When a co-op’s member-owners work together, the co-op has more business strength than each individual farmer would have on their own. We belong to several agricultural cooperatives, including Land O'Lakes. 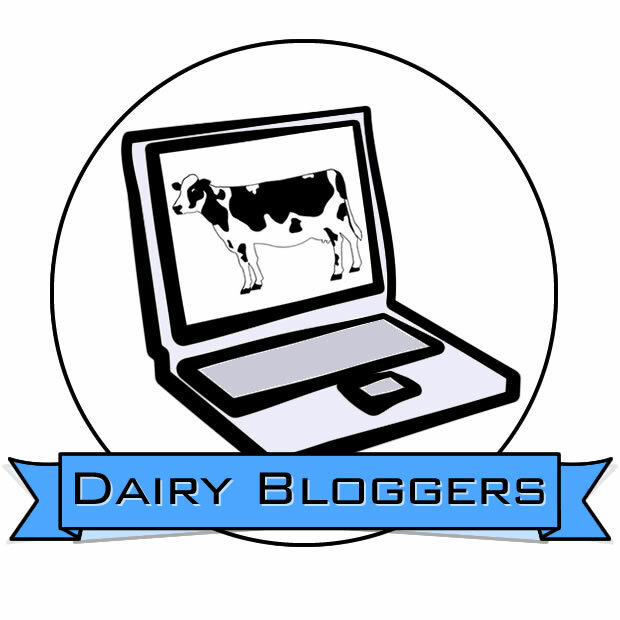 Dairy co-ops like Land O'Lakes provide an especially important service to dairy farmer members: milk processing and marketing. 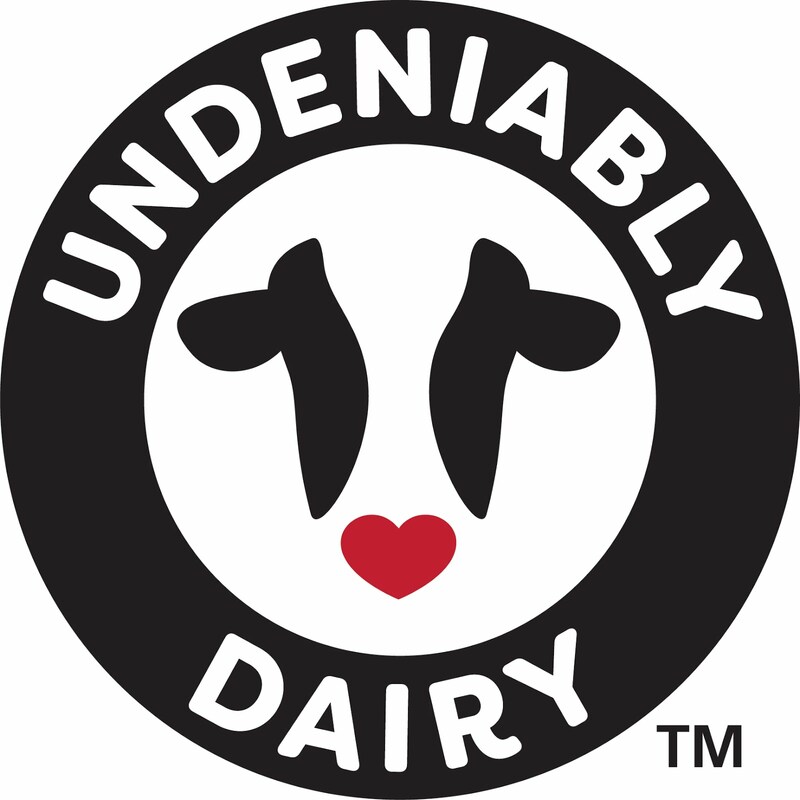 Milk is a highly perishable product that needs to be processed and marketed daily. 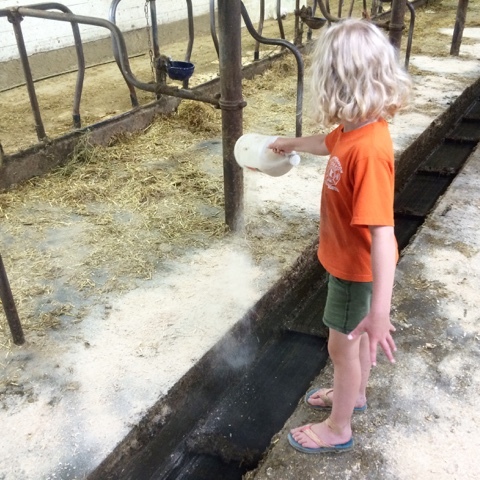 As a dairy farmer, I spend most of my time caring for my cattle and crops – it would take a lot of my time away from those responsibilities if I had to personally market each tankful of milk that leaves our farm. Co-ops also provide other helpful services. Co-op nutritionists help us feed our cows. 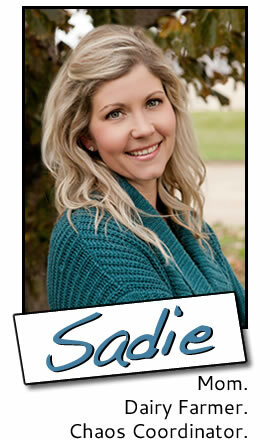 Co-op agronomists help us grow our crops. When all of the member-owners and co-op employees work together, the co-op is successful. 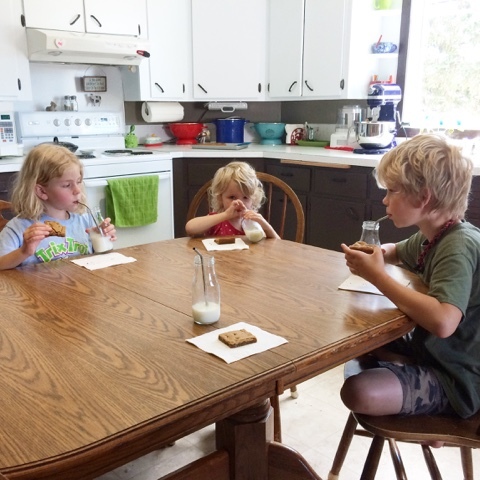 In turn, co-op success helps family farms stay in business. This inherent belief in the importance of working together is what makes me proud of both my own farm family and my membership in cooperatives. I’m thrilled that I have a little more time to spend in the kitchen now than I did when the kids were little. Homemade treats are one way that I show my family how much I love and appreciate them. 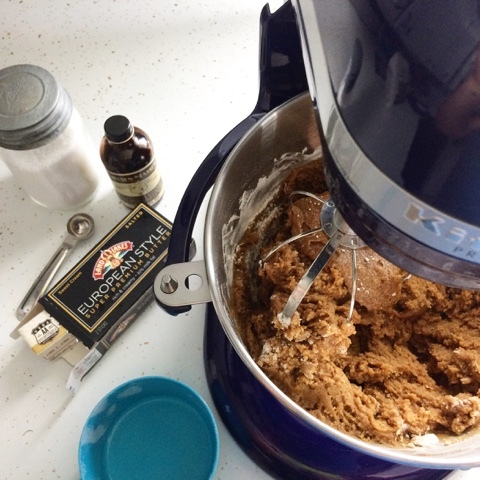 Baking is even more special with heirloom recipes passed down through my own family. 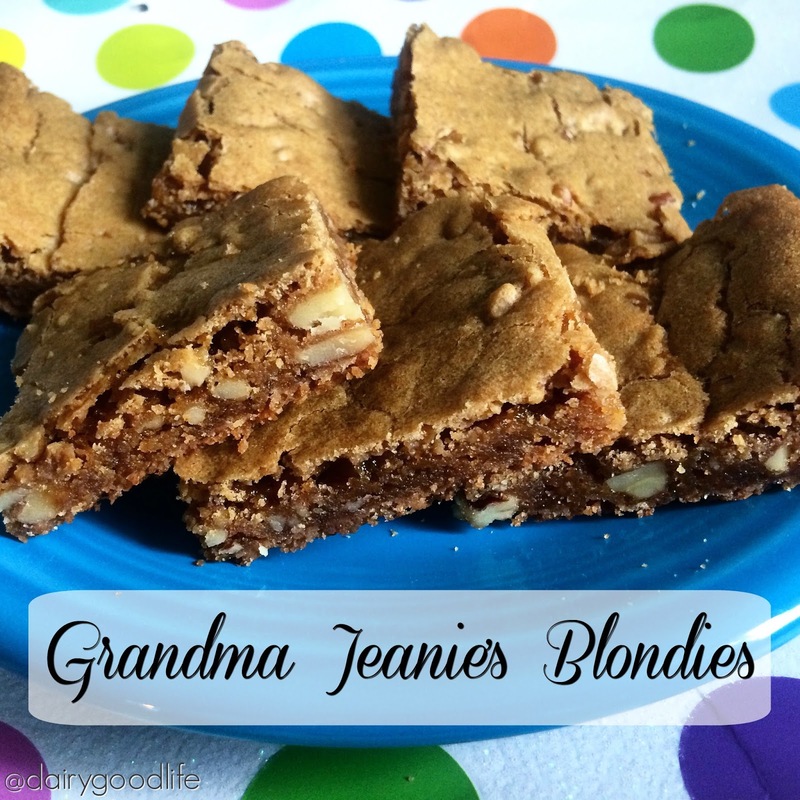 The recipe for these blondies came from my Grandma Jeanie. She baked love into all of the treats she made, too. Grandma Jeanie was a farmer and homemaker, too, so her go-to recipes were always practical. 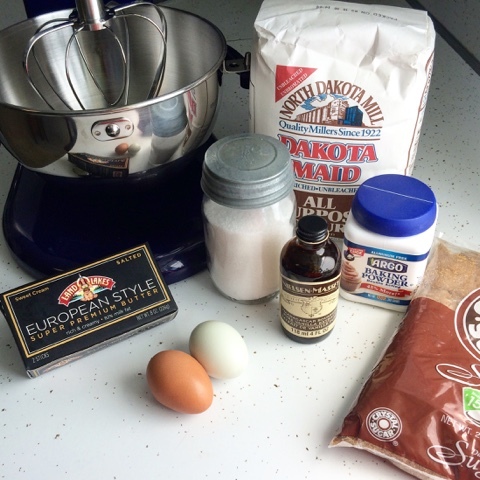 I can make these bars in minutes with ingredients I always have on hand. Something amazing happens when you mix a little melted butter and brown sugar together with vanilla and pecans. All of the ingredients work together to create something really good. In recipes like these blondies, where butter contributes significantly to both flavor and texture, I use Land O Lakes® European Style Butter, which is made with 82% milkfat. (Regular butter is made with 80% milkfat.) Plus, unlike most European butters, which are made with sour cream, Land O Lakes® European Style Butter is made with sweet cream, so it has the same great, buttery taste but with a little extra richness. My whole family loves these bars and I’m guessing yours will to. *Note: In a pinch, you can substitute regular Land O Lakes® Butter, but then reduce the salt to ½ teaspoon. Land O Lakes® European Style Butter has slightly less salt than regular Land O Lakes® Butter. Preheat oven to 350°F for shiny metal or glass pan or 325°F if using a dark or nonstick pan. 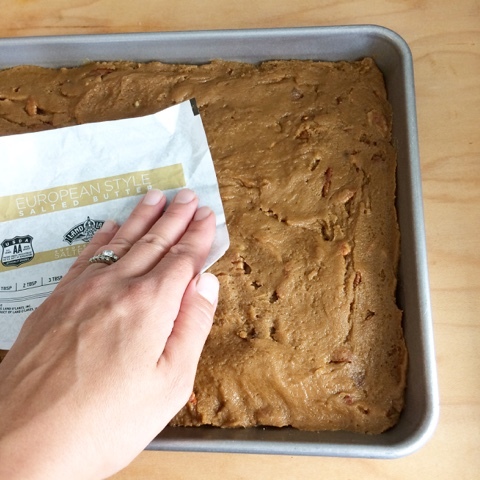 Grease or spray a 9 x 13 or 10 x 15 baking pan. Mix melted butter and brown sugar together. Add rest of ingredients, one by one, in order, mixing well after each addition. Batter will be very thick, almost like cookie dough. Press batter into prepared pan. Bake for 20 – 25 minutes, rotating pan half way through. Bars are done when edges are dark golden brown. Don’t be alarmed when the top of the bars puffs up while baking; it will fall again as the bars cool. I like the clean barn! Keep it up!